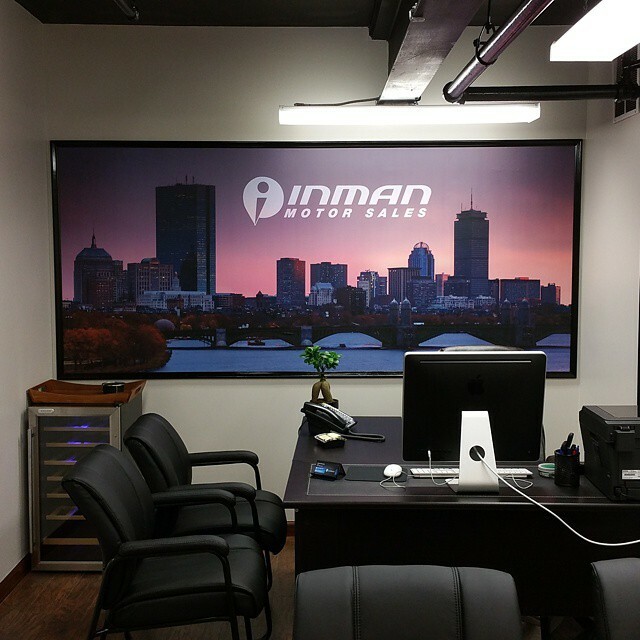 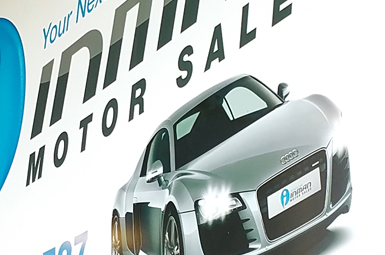 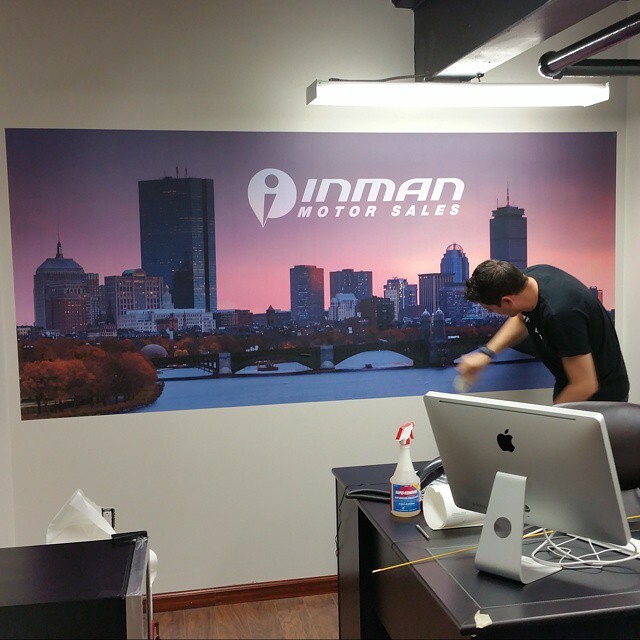 Inman Motor Sales is a company that offers its clientele high quality pre-owned vehicles on the Revere Beach Parkway. 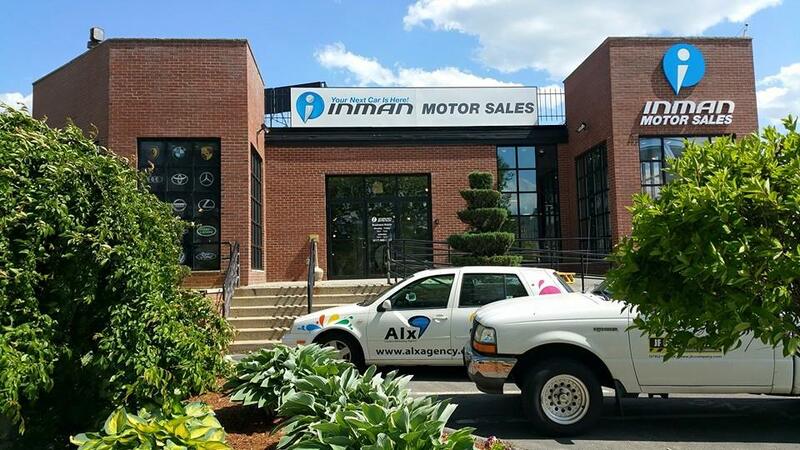 They approached us seeking assistance with creating a brand for the their business with the grand opening of their showroom. 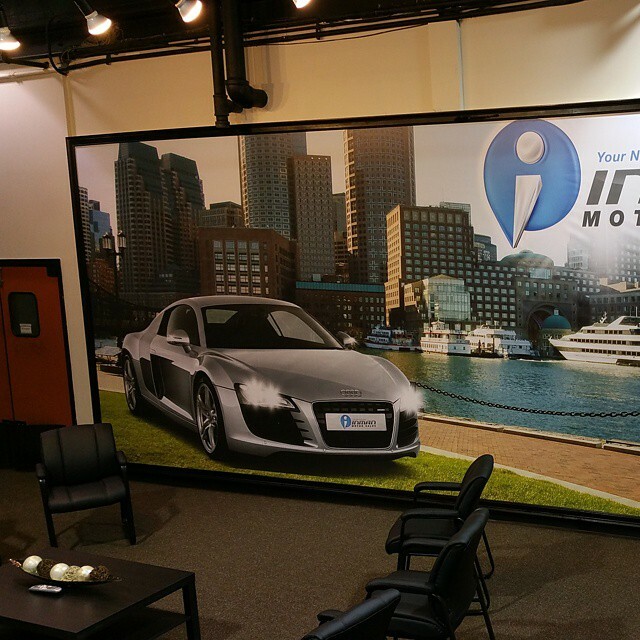 Internally and externally IMS requested signage to solidify their brand throughout their business. 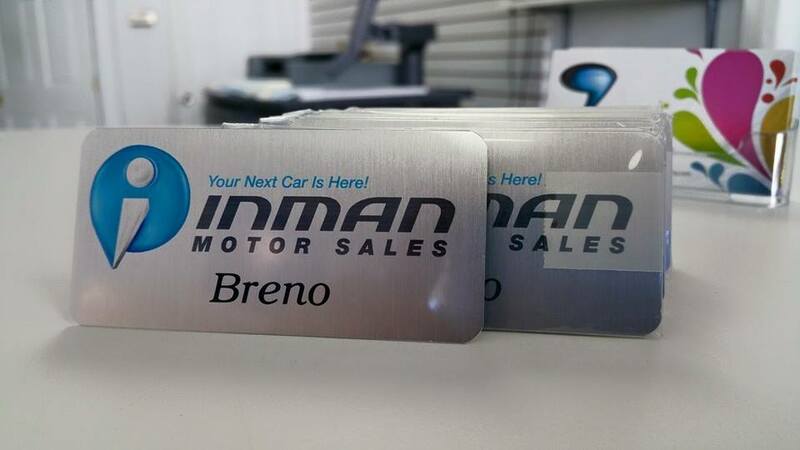 To bring across dynamic appearance of Inman’s vehicles, we recommended a 4D business card with a lighting effect on both the keys and car headlights. 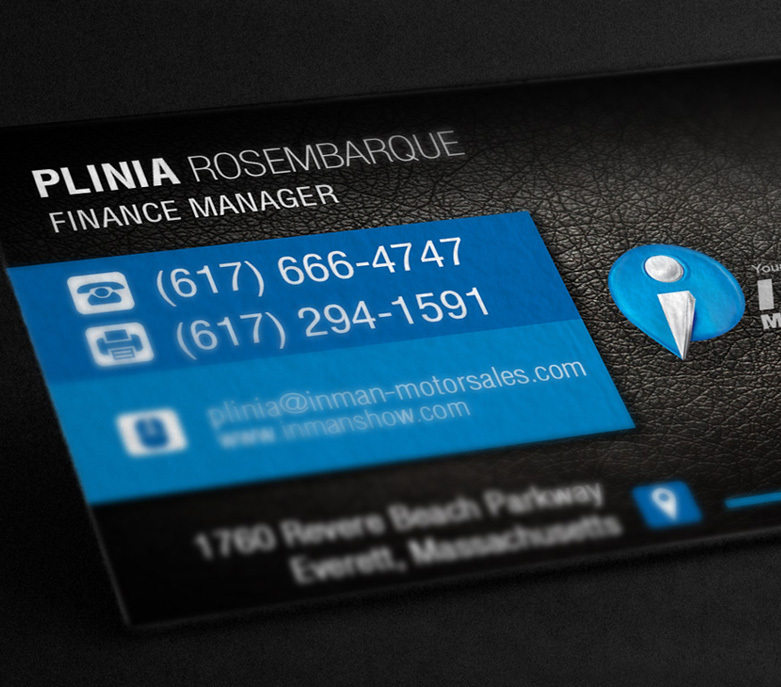 Inman Hot looking business cards. 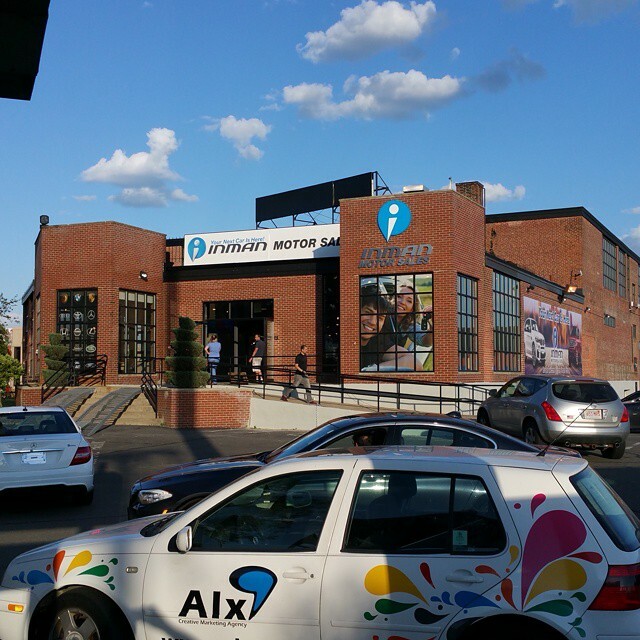 from Alx Agency on Vimeo. 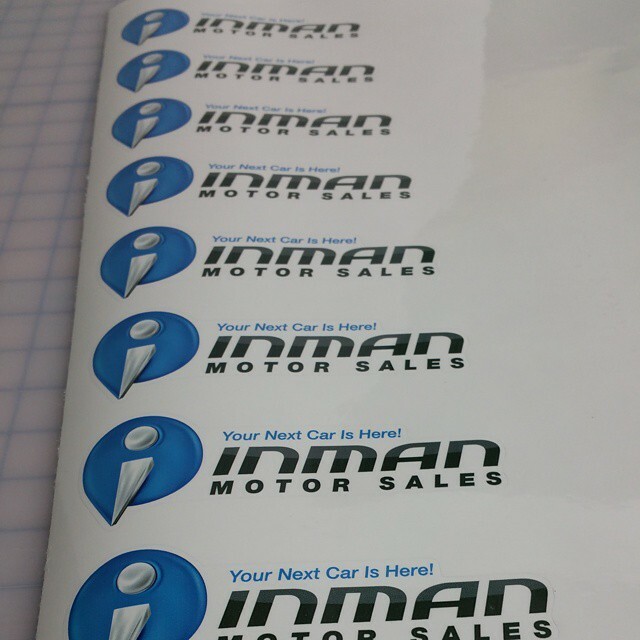 Inman was looking to get tags and vehicle stickers to help promote their business through their employees and customers.